Because a Summer without burgers is like... pretty much any other time of the year without burgers (aka terrible), we've compiled the definitive lineup of the best beef patties in the Hamptons. Don’t settle for an average bun with no sesame seeds, or one that (gasp)... isn’t toasted. When Summertime cheeseburger cravings call and you've been partying way too hard to grill something yourself, this is where you need to go. If you’ve been thinking of moving out to California just to be closer to In-N-Out, don’t hire the movers just yet. 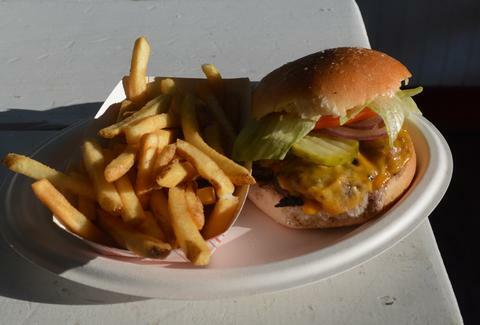 Bay Burger’s playfully modern take on a quaint roadside diner is bringing some serious burger chops. 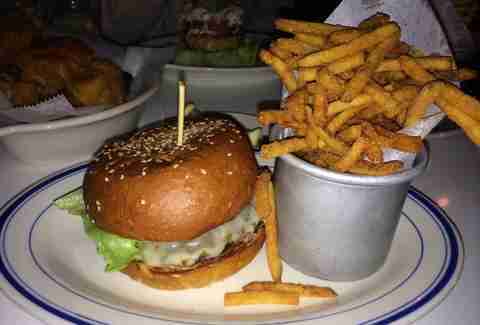 Part-owner Joe Tremblay, former grill man at Burger Joint at Le Parker Meridian Hotel and manager of Manhattan’s ‘wichcraft, has shared his vision for the perfect burger with Sag Harbor to much rejoicing. That means hand-ground beef, fresh house-baked buns, and your choice of all the classic toppings. Oh, and you have the option to go fries, tots, or fries 'n tots on the side. It's nice when a place respects tough decisions. The 1770 House has had three centuries to perfect those burger building skills, retaining much of its original architecture so you can know what George Washington felt like when he was eating burgers (they had burgers, then, right? Whatever.). With only six guest rooms, the inn maintains extremely close attention to quality service and the restaurants march to the same beat. 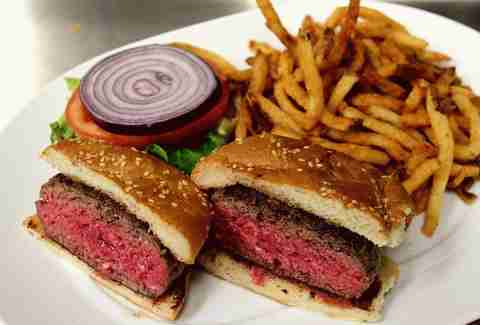 Head to the downstairs tavern for a thick, impossibly beefy burger that is cooked to your liking and served with freshly cut fries, a garlic pickle, and your standard condiments. With a soda fountain in the front, neon-lit red and white decor, and a working pinball machine, you know you're in for a burger that'll taste of nostalgia. There are several solid burger options here (not to mention fried kosher pickles, so save room), but the LT Backyard Burger is the move thanks to hickory-smoked bacon, NY cheddar, and LT Sauce. Side it up with some waffle fries. If you still have room (and good health insurance), try the aptly named the Death By Oreo or LT’s rendition of s’mores. The Cuddy’s casually nautical and inviting style pairs perfectly with their menu of comfort cuisine and handcrafted beverages. 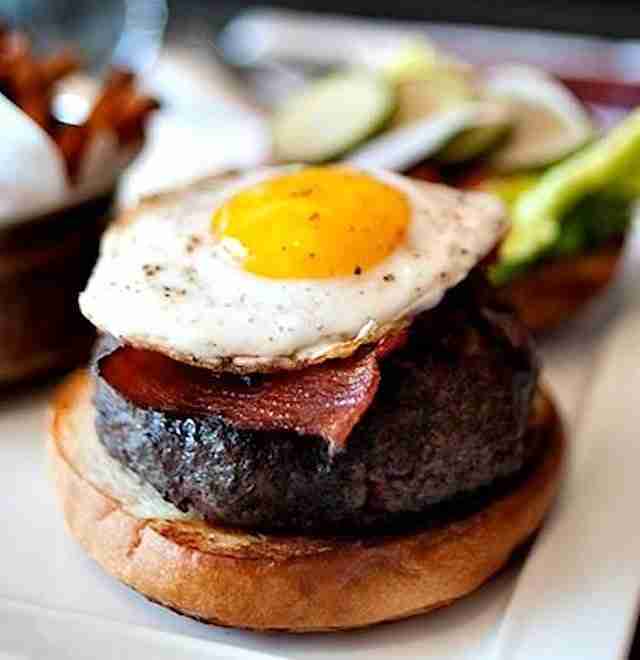 The cheese burger's served with dill pickles and a special burger sauce (which you're probably familiar with), but you can upgrade with some thick-cut bacon and a fried egg, so do that, won't you? Oh, we should also mention they're aging Negronis in bourbon barrels here as well. You want one. 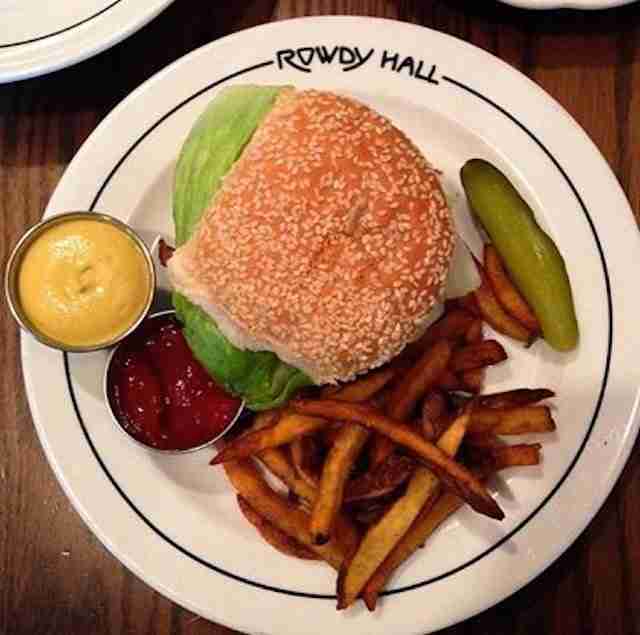 Tucked away in the village of East Hampton, Rowdy Hall’s name precedes its reputation as a... lively place to grab a bite. Open seven days a week for lunch or dinner year round, it's a refreshingly casual respite from the all-to-prevalent Hamptons stuffiness. 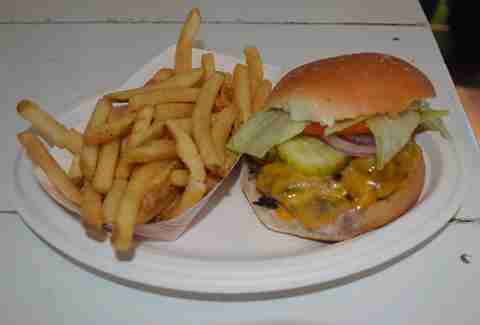 The Rowdy Burger sports a just-right-sized Black Angus patty served to your liking with pickles, tomatoes, onions, and cheese, nestled into a pillowy sesame bun. Pro tip: this is also a great spot to hunker down for some World Cup viewing.